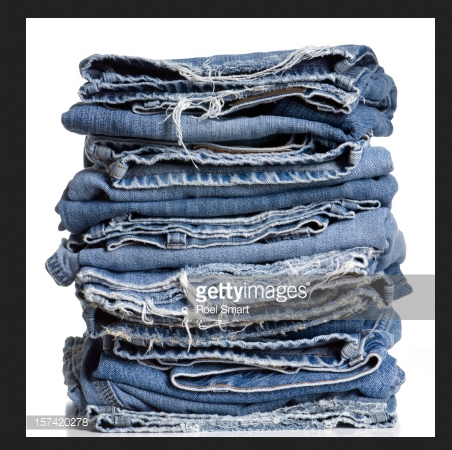 Let’s tackle denim first, something millions, maybe billions of people all over the world wear. Now, I’m not a jeans expert, but I wear them and I know what I like, what I don’t like, what works well, what does not, what’s worth the money and what isn’t. Like with anything else, jeans really run the gamut on pricing — from the uber expensive to the super cheap — I stay away from both extreme ends of the spectrum, they’re just not worth it, and stick to the middle, more reasonable range. So, whether you live in jeans, only wear them occasionally, or anywhere in between — here’s my take on the basics, the must-haves, dos and don’ts, and some good rules of thumb. A classic cut pair in a medium tone, (not too dark, not too light) fitted but not tight, with a straight leg or slight boot-cut. These will work with almost anything. A slim pair (aka: skinny jeans) in a darker color, maybe with some stretch, These are very versatile, however, they should not be so tight that they look like a sausage casing, no matter your shape it’s just not a good look. A looser ‘boyfriend’ style that’s a bit baggy and faded that you can roll/cuff-up. Allow these to become naturally distressed over time with wear, instead of buying them too tattered out of the gate, as they can look a little contrived. Better to let them to mold, shape, tear with your own natural lines and curves, so much cooler. A trouser style, a little dressier, in a darker color, nicely tailored, with either a wider leg, boot-cut, straight-leg — whatever you like best on your figure. They should ideally sit slightly below your natural waist, not too high, not too low. A trouser cut is flattering on almost any shape with few exceptions. I would not get into super trendy jeans, unless you’re some kind of denim collector, because they can look easily dated, you’ll tire of them quickly, and fad looks just don’t serve grown women well. Do not be afraid to venture into the men’s department, you can often find something great, and you might like the cut or fit better for certain styles and body shapes. Stay away from bell-bottoms, these flatter almost no one and often look silly. And keep in mind that high-waisted jeans, no matter how cool, are not for everyone. Note: Vintage denim can often be a good buy, depending on the cut and quality. Also, a good tailor can be your best friend, for helping get that fit just right. What should you pay? (What do you pay?) Like I said earlier, I stick to the middle price range of about $120 to $300. Here are my rules of thumb: 1. Jeans should be well made with quality denim and last a long time. 2. Cheap jeans are made with poor quality denim and unethically manufactured, (often in slave labor sweatshops) and are not worth it in so many ways. 3. 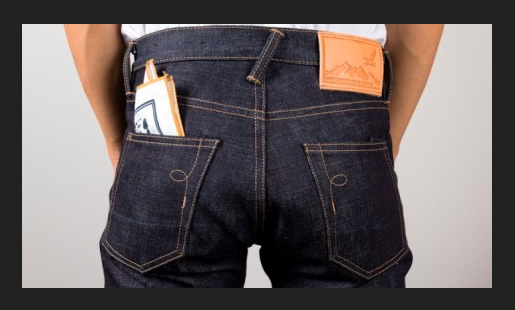 Making jeans is often labor intensive, as such, making a good pair should be reasonably compensated. 4. Super pricey (designer) jeans are, I feel, not really worth the giant price tag, because at that price-point you’re mostly paying for the label rather than the garment itself. If you’re perfectly ok with this then go for it, but I think your money can be better spent on more worthwhile essentials. 5. If you like special effects — like studs, graffiti, paint spatters, bleaching, extra wear & tear — DIY — especially if you’re crafty, this can be a great way to express your own unique and personal touch. These (special effects) styles are often either too pricey or too cheap. To me they’re just not a good buy. I say get a good vintage pair of jeans and have fun experimenting with your creativity. Plus, no one else will have a pair exactly like it. Be mindful of really big pocket details, sometimes these can look overbearing or unflattering, depending on their placement, or your figure. OK, that’s my take on jeans. Hope you’ve found this helpful. Now, go forth confidently and enjoy your denim. The Holidays are right around the corner, of course, and many of us are starting to think of gift giving. But, I ran a bit too long on jeans, so I will cover this in more detail in the next blog post. In the meantime, think handmade instead of factory farmed — more personal, artisanal, meaningful — more small biz than big box. You don’t need a big budget, just some imagination and heart. And if you're considering having gifts made-to-order, or making gifts yourself, be sure to plan ahead and allow enough time for these options. Also, don't forget you, get yourself a little something as a special treat. This is yet another opportunity for me to encourage conscious commerce, and support for small businesses and artisans. Tell us what you're doing and buying this season, what your looking for, or if you may need some helpful insight and ideas. PS — stay away from Black Friday and spend time with loved ones instead, and stay tuned for blog #12! Enjoy the season & enjoy your clothes. — Ciao! This little jacket can become your best friend! It’s warm yet light, travels well, no wrinkling, easy and versatile. Works nicely from day to evening, casual to dressier, with a multitude of items - tops, bottoms, dresses. Timeless, and almost seasonless. Perfect with all your jeans!